I admit to having trouble with the Fourth Symphony; while I recognise it as Shostakovich’s boldest utterance I just don’t buy the revisionist view of it as his greatest masterpiece. As his most abstract and formalist work for public consumption he was wise to withdraw it as he sensed the heat rising around him, but whether his reservations during rehearsal were a factor will forever be obscured by the muddied waters of post-Volkov argument. Dare one say it was a wild phase that he needed to grow out of, and burying the work for later did everyone a favour, while distilling his language enabled him to infuse it with subversive subtext? The work is a challenge to pull off in performance; shy away from the wild-eyed expressionism and it’s a hectoring bore but going all out is a risk – when it works it’s a helter-skelter ride but if it fails, full of sound and fury signifying nothing. A handful of recordings have trod the fine line and this joins that elite list – Nelsons had me riveted from the get go. The precision of rhythmic control coupled to expressive phrasing that speaks, as well as his grasp of the tectonic structure, made the work seem concise and tightly argued. 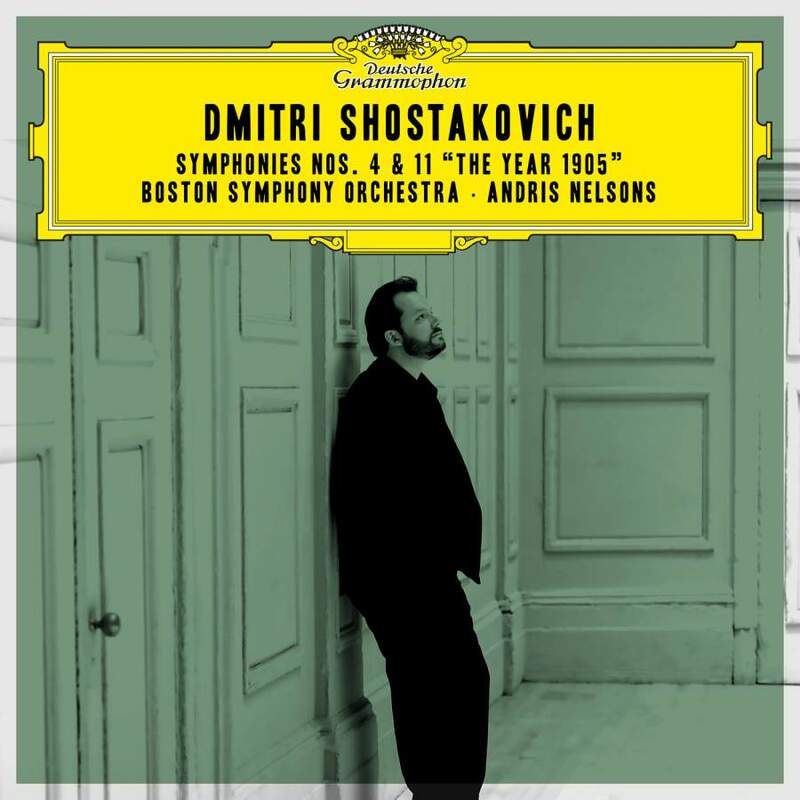 The Boston Symphony’s extraordinary playing elicits enough incidental pleasure to tickle the ear through passages that can become longueurs. This is state of the art playing and a thrill in itself. Some may sneer at such superficial delights, but virtuosity clarifies the startling sonorities and textures. Oscillating piccolo against grinding brass chords, precise voicing of wind chords with shifting vibrato subtly changing the hue, all helped by the crystalline clarity of the recording. Listen to those soft tam-tam strokes at the conclusion of the first movement, so well captured as they spray thin washes of overtones, and such eloquent string playing in the central movement. The biting irony and grotesque humour of the finale’s Mahlerian gestures register more tellingly when played straight. Nelsons holds some in reserve for the huge brass chords of the first coda, but it works in context with the enigmatic conclusion. While Nelsons’ reading of the Fourth has convinced me of its greatness his account of the Eleventh might convert those who scoff at this greatest score in search of a film. His ideal balance of spectacle, atmosphere and formal acuity manages by sleight of hand to conjure a structural integrity to its programmatic flow from the breathtaking beauty of the opening of The Palace Square to the bombastic final pages. This is an outstanding issue in what is turning out to be a fine modern cycle alongside those of Petrenko and Wigglesworth. Nelsons’ triumphant Shostakovich series continues in a blaze of glory. Danish Trio with a dash of Aussie prove old heads on young bodies in impressive Carnegie debut.